There are a lot of reasons to collect miles and points. Whatever your reason for being here, there is a rewards card or cards that suit your needs. If you don’t have the money to take your dream trips, the good news is that you don’t need much money. By maximizing the sign up bonuses on rewards cards, anyone with good credit can take a dream trip anywhere in the world. How can you earn rewards for the trips of your dreams? 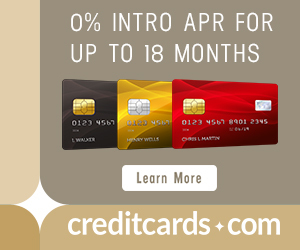 What are the best credit card offers for September 2014? Which of the cards on the list expire in the next few days? The Inks are business cards that offer 50,000 Ultimate Rewards sign up bonuses after spending $5k in the first three months. Ultimate Rewards transfer 1:1 to United, British Airways, Singapore, Korean, Southwest, Virgin Atlantic, Hyatt, Amtrak, and more. I used Ultimate Rewards (transferred to Hyatt points) to book the Grand Hyatt Macau and Ultimate Rewards (transferred to United miles) to book Slovenia-to-North Carolina in Lufthansa First Class on a recent trip. The US Airways® Premier World MasterCard® is now offering 40,000 bonus miles after first purchase. US Airways miles are the most valuable miles right now because of how cheap business class awards are on the US Airways award chart. 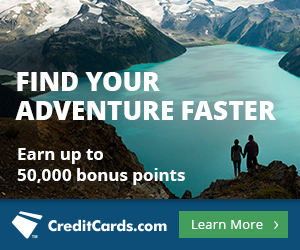 Here are all the places you can go with just the sign up bonus on this card! The other big perks are a 5,000 mile discount on awards booked entirely on US Airways metal and a free checked bag for you and four companions on paid US Airways flights purchased with the cards. The card earns 1 US Airways mile per dollar on all purchases and 2 miles per dollar on US Airways purchases. There is an $89 annual fee. US Airways has an incredible award chart to use the miles now, or they will be converted to American Airlines miles during the merger, which is a fair conversion. This card will disappear in early 2015 when US Airways’ and American Airlines’ loyalty programs combine. The Citi ThankYou® Premier Rewards Card offers 20,000 bonus points after $2,000 in purchases within the first 3 months of account opening and an additional 30,000 bonus points after another $3,000 in purchases within the first 3 months of your second year of being a cardmember. That’s 50,000 bonus ThankYou points total. Citi just announced that ThankYou points transfer to nine airlines and one hotel. My favorite transfer partner is Singapore Airlines. For 50,000 Singapore miles, you can book a roundtrip award to South America with two free one ways to Hawaii, all on United flights. My second favorite partner is Flying Blue. Flying Blue miles can book Promo Awards that cost only 12,500 miles each way to Europe or Israel. You can also use Flying Blue miles to book one way awards on Delta like 15,000 miles to Hawaii, Central America, or the Caribbean. I also love this card’s big category bonuses like 3x on entertainment and dining. I just got my Citi ThankYou Premier Rewards card in February, and I have not had a chance to use the rewards yet. The Barclaycard Arrival PlusTM World Elite MasterCard® is a great card for families that travel in economy, since Arrival miles can be used to book any flight on any airline with no blackouts. Miles can also be redeemed for any hotel or other travel expense. This card comes with 40,000 bonus miles after spending $3,000 in the first 90 days and earns 2 miles per dollar on all purchases. Miles are worth 1.14 cents each, so spending $3,000 on the card in the first 90 days earns more than $500 in free flights or other travel expenses. With this card you can book any flight on any airline at any time, or any hotel, or rental car, then redeem your miles for a statement credit equal to the cost. Here’s how. The 40,000 bonus miles could be used on any $400 flight without the need to find award space. You would even earn miles for flying the flight, since the airline will see it as a cash ticket! I have used my Arrival miles on a recent trip to book a motel and domestic flights like a $150 trip from Raleigh to Tampa that would have been a poor value with traditional miles. The Gold Delta SkyMiles Credit Card from American Express offers 50,000 bonus miles after spending $1,000 in the first 3 months. You get a $50 statement credit after your first Delta purchase in the first 3 months. The card’s annual fee is waived the first year, then $95. This is the basic personal card. The Platinum Delta SkyMiles Credit Card from American Express offers 15,000 Medallion Qualification Miles toward Delta status and 50,000 bonus award miles after you spend $1,000 on your new card in your first 3 months. You earn a $100 statement credit after you make a Delta purchase with your new card within your first 3 months. This card has a $195 annual fee that is NOT waived. This is the personal card to get if you want Delta status because of the MQMs you can earn. The Gold Delta SkyMiles Business Credit Card from American Express offers 50,000 bonus miles after spending $1,000 in the first 3 months. You get a $50 statement credit after your first Delta purchase in the first 3 months. The card’s annual fee is waived the first year, then $95. The card also comes with Hilton Gold Status, so you can enjoy free internet and breakfast on those free stays. The card has a $475 annual fee in the first year. But it comes with huge benefits like airline fee reimbursement, airport lounge access, and hotel status. The British Airways Visa Signature card comes with 50,000 bonus Avios after spending $2,000 in the first three months on the card. The card comes with 2.5 Avios per dollar on British Airways purchases and 1.25 Avios per dollar on other purchases. For instance, the west coast to Hawaii on American Airlines or Alaska Airlines flights for 12,500 Avios or only 4,500 Avios between New York and a dozen destinations are two of many sweet spots. The card has a $95 annual fee that is not waived. Scott, thank you again, as always, for the informative post. I’ll be doing my second app-o-rama today so this was well-timed for me. Looking forward to that first trip in first class! Cheers and keep up the great posts! No, but you can cancel the former and open the latter and get the bonus points.